The BMW X7, the brand’s first attempt at a full-size SUV to take on the likes of the Mercedes-Benz GLS-Class and Range Rover, is almost here. In fact, we’ve already driven it, as Horatiu went to South Carolina a few months ago to test some pre-production models. 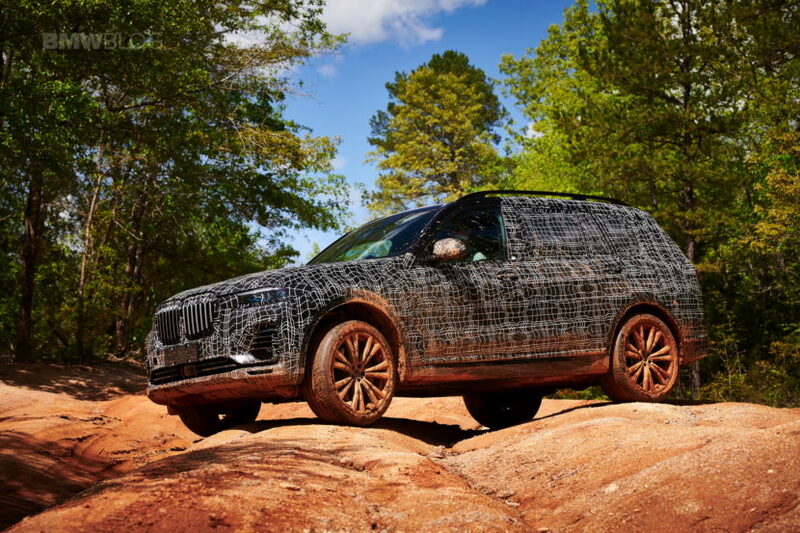 Since then, there have been many official teases and spy photos of the X7, wearing full camouflage of course. Though, those photos do hint at what the final car will look like and actually give away more details than you might imagine if you look hard enough. 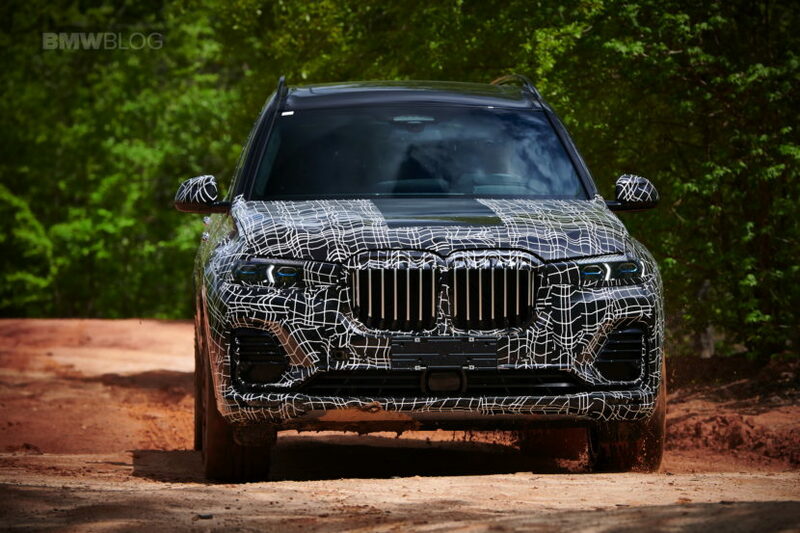 This new render shows off what the BMW X7 will likely actually look like after some spy photo-investigation. In this new render, we see an X7 that looks strikingly similar to the X7 Concept from awhile back. That won’t resonate well with fans, as the X7 Concept was one of the most widely panned BMW Concept in recent memory. However, a closer look shows that it’s heavily influenced by the real car. Judging from the camouflaged photos that BMW took during the pre-production drives in South Carolina, the render actually looks quite realistic. The Kidney Grilles are appropriately large and subtly octagonal. The headlights are also very thin but not overly so, like on the Concept, and they seem to be similar to those on the camouflaged car as well. It also sports the same front air intakes. The render also gets a large Air Breather that’s worked into a body line and a subtle Hofmeister Kink. In pre-production photos, the BMW X7’s face was pretty easy to make out but the camouflage did a good job of hiding the sides of the car. So we expect this render to be accurate but can’t guarantee that. Overall, this render will likely be very similar to the actual BMW X7 once it debuts. Unfortunately, it’s a bit bland and lacks the sort of presence that cars like the Range Rover have. Hopefully BMW can work some magic on the final production car and give it some extra panache. The conjoined kidneys appear to be an ongoing theme… Ugh. BMW really needs someone with fresher ideas managing the design helm, right now. Barring few traces of brilliances, current BMW designs are probably the worst among Germans. Either they remain stagnant or they do atrocious details when they try to do something new. Even Audis are getting more interesting to look at nowadays. PS – I have seen quite a few renderings from this guy. He is generally very good at his work and most renderings are pretty spot on. As GQ put it in a current online feature, “The Super-Luxury SUV is Here to Roll Over Everything”. Compared to the other vehicles they list, X7 is quite conservative and will compete with existing vehicles just fine. Obviously you will not be driving one. Just typing about it. Again. How many design awards did BMW win last year? How many for German clones? Lol… its getting funnier for us with each of your comments. Us as in royalty, or multiple personality? One would be an upgrade. Ohh !! the potato is fuming now. You know as much about potatoes as you do BMW. Congratulations. Again. Name calling is not discourse.